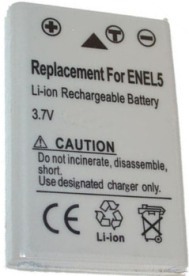 The CTA MR-ENEL5 is a battery charger that is designed to take full advantage of high capacity rechargeable batteries. 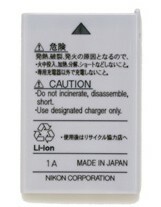 It has been specially designed to charge the Nikon EN-EL5 battery. 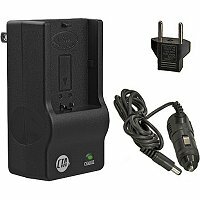 CTA Mini Charger MR-ENEL5 is a very compact battery charger for Nikon EN-EL5 and equivalent lithium ion batteries. Among compatible digital cameras are Nikon Coolpix 4200, Coolpix 5200, and Coolpix 3700. Voltage: AC 110-240 DC 12V-20V. Slim, light weight and just 1/4 the size of many larger models. Built-in direct power plug eliminates bulky and in-the-way power cord. Mini Charger dimensions 3.25 x 1.8 x 1.5 inches.